Engraving by René Boyvin?, each roundel 6.8 diameter (Robert-Dumesnil), the whole print 7.5 x 17.2 S (Paris). Robert-Dumesnil, VIII, 1850, 19, 4, as Boyvin after Rosso. Le Blanc, 1854-1890, I, 546, 4, as Boyvin after Rosso. COLLECTION: Paris, Ed 3, in-folio. Linzeler, 1932, 166, as Boyvin after Rosso. Levron, 1941, 73, 161, as shop of Boyvin after Rosso. Carroll, 1961, 454, n. 31. Acton, in French Renaissance, 1994, 308-309, no. 74, Fig. (Paris, Ed 3, vol. 1), as Workshop of Boyvin, after Thiry (? ), noting that it might be derived from Rosso’s sketches for his major composition of the same subject [D.43], the overlapping of the frames by the figures in the roundels linking the print to Rosso. 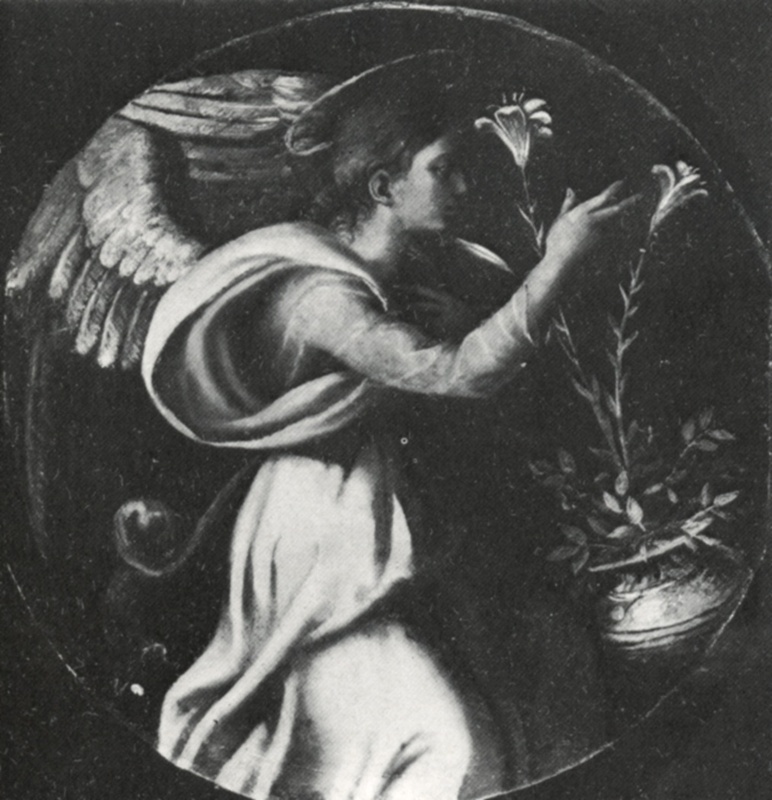 The angel in the right roundel of this print is derived from the figure of Gabriel and the angel behind him in Rosso’s Annunciation in the Albertina (Fig.D.43a) and in the engraving of this image (Fig.E.133) in the opposite direction and in the same direction as the angel in this roundel. However, the Virgin in the left roundel is not related to that of the Virgin in the other Annunciation. Related though the angel is to figures by Rosso, it exhibits that kind of reduction of his style that can be associated with Thiry. The figure of the Virgin is more distant from Rosso’s style but has also a simplicity that recalls Thiry, who is very likely the author of the design of this print. 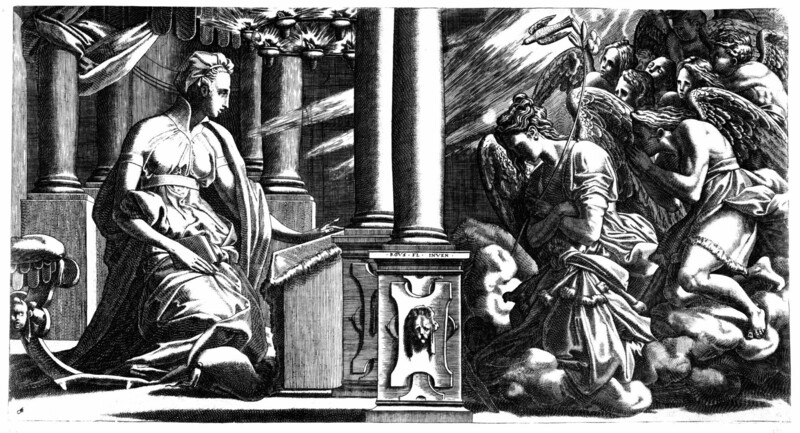 Kusenberg suggested that the print reflects possibly the design of small plaques, but small round scenes such as these for an Annunciation could also have been used on a painted altarpiece. These two roundels could have been invented simply to be engraved without comparable roundels actually serving as models. 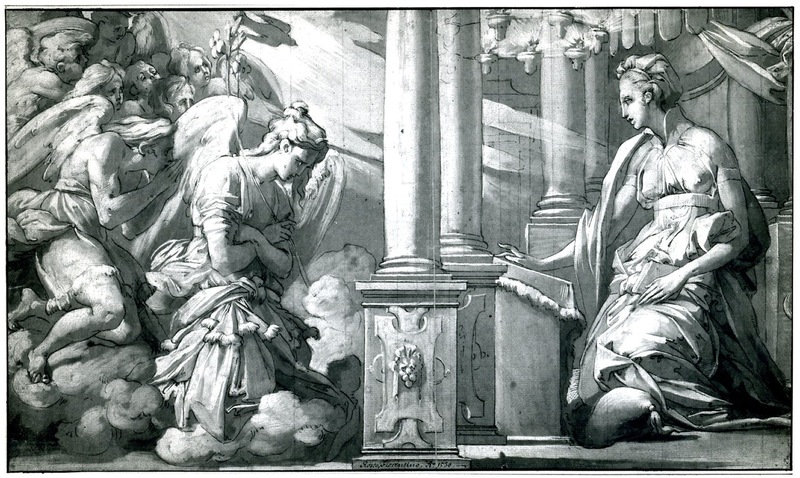 The engraving technique does resemble Boyvin’s and if not by him the print could have been made by someone in his shop. A note accompanying the impression in Paris states that it is undoubtedly by Milan. 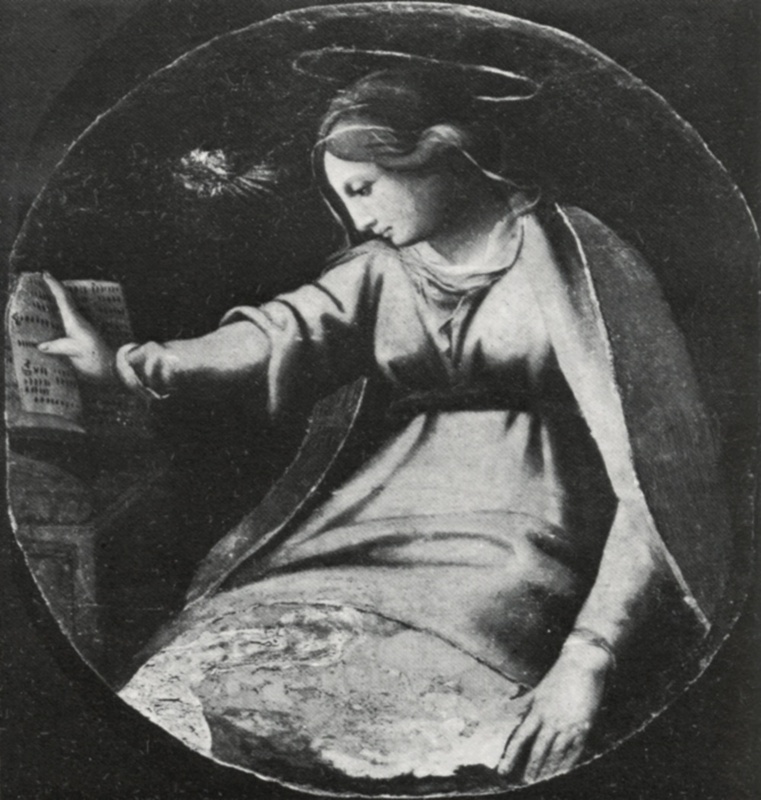 There is some possibility that the print, especially the figure of the Virgin, was influential on the Annunciation in two roundels that is part of a polyptych by Giovan Filippo Griscuolo of around 1545 in the cathedral of Ravello (Fig.RE.9, Salerno a; Fig.RE.9, Salerno b)1. However, the figure of the Virgin is reversed, and the Angel is not like the one in the print. It is more likely that they share a common tradition. 1 See Antonia d’Aniello, in Andrea da Salerno, 1986, 244-246, no. 50, 248, Fig.